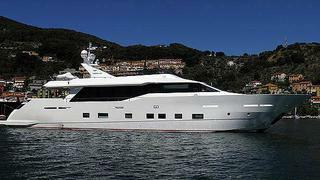 Aris Drivas at Aris Drivas Yachting gets in touch with news of a €1.27 million price reduction on Tecnomar's 30m motor yacht Aurora. Built in 2011 to RINA class, as one of the yard’s Nadara range of superyachts, she accommodates up to 12 guests in a master suite, two VIP staterooms and two twin cabins plus two Pullman berths. Twin 1,825hp Caterpillar C-32 Acert engines give Aurora a cruising speed of 23 knots and she's now down from €4.5 million to €3.23 million.